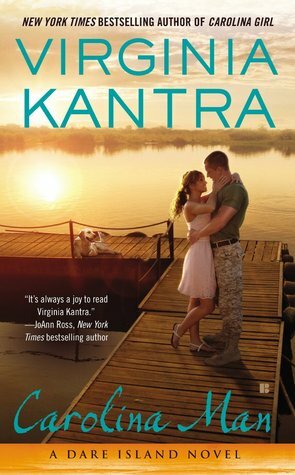 New York Times bestselling author Virginia Kantra has written over twenty books of contemporary romance, romantic suspense, and paranormal romance. She is the winner of numerous writing awards, including Romance Writers of America's RITA Award and two National Readers' Choice Awards. Married to her college sweetheart and the mother of three kids, she is a firm believer in the strength of family, the importance of storytelling, and the power of love. Her favorite thing to make for dinner? Reservations. The thing that really stood out to me in the synopsis was the part about losing his heart to the daughter that he never knew. this book looks and sounds awesome :) Thanks for sharing! I love a book like this. I have put it on my TBR list. All of the what ifs, I want to know the answers. A beautiful story in a wonderful setting . I have read the first 2 Dare Island books and loved them, and look forward to reading this one! I like reading books about military romances. This one sounds so good.